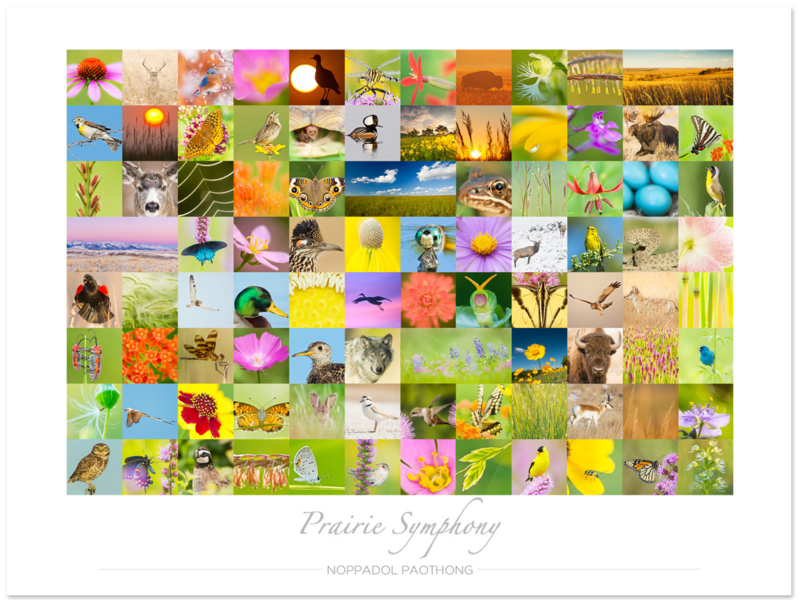 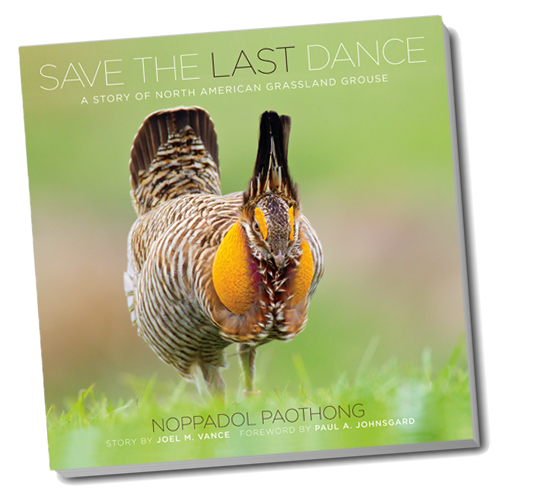 This 204-page hardbound book is a product of the photographer’s over-a-decade-long journey of chronicling unique grassland grouse species, including Greater Prairie Chicken, Lesser Prairie Chicken, Attwater’s Prairie Chicken, Greater Sage-Grouse, Gunnison Sage-Grouse, Sharp-tailed Grouse. 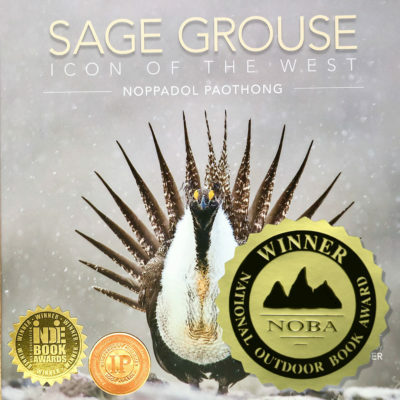 The book describes their stunning mating rituals as they vie with development for space to breed and raise their young. 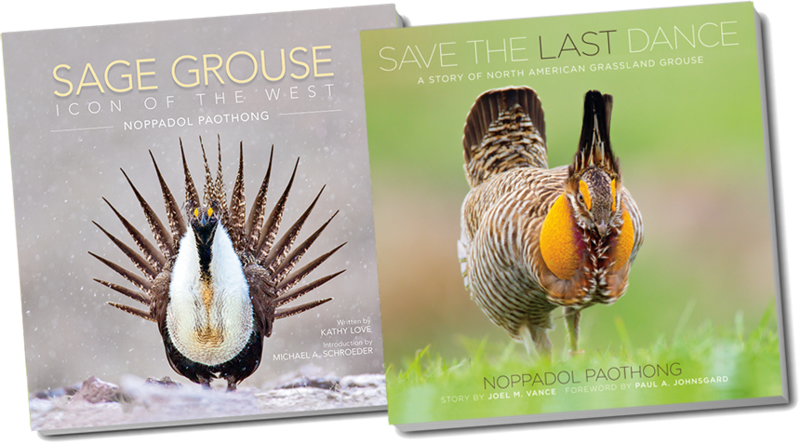 This book by award-winning photographer Noppadol Paothong and renowned writer Joel M. Vance strives to rescue grassland grouse from the brink of extinction by showing the world what it stands to lose if these species are allowed to disappear forever.